Pregnancy-associated breast cancer, which is rare but often aggressive, was detected with MRI in 98% of cases reviewed in a recent article published in the September 2017 edition of the American Journal of Roentgenology (AJR). The study reviewed cases of patients who had given birth within the previous 12 months. 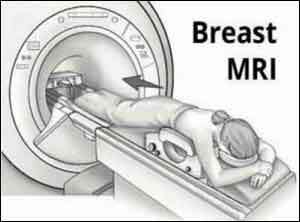 Breast MRI showed a sensitivity of 98% and changed surgical management for 28% of those patients. The study’s authors, led by Kelly S. Myers of the Department of Radiology at Johns Hopkins Hospital, said breast MRI may play an important role in the management of pregnancy-associated breast cancers. Titled, “Imaging Appearance and Clinical Impact of Preoperative Breast MRI in Pregnancy-Associated Breast Cancer,” the study included 53 women, nine of whom presented during pregnancy and 44 during the first year postpartum. The sensitivity rate of MRI was 98%, or 52 of the 53 patients.